Malcolm McCusker AC CVO QC is a Western Australian Barrister and Philanthropist. 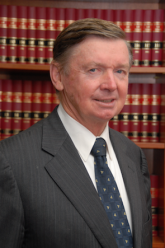 After completing an LLB degree at the University of Western Australia he practiced as a barrister for over 50 years, chaired the WA Legal Aid Commission for 27 of those years, and was the inaugural chairman of the Advisory Board of the WA Constitutional Centre. In 1982 he was appointed Queens Counsel. From July 2011 – June 2014 he served as Governor of Western Australia. He has always had a strong interest in medical research. He was the inaugural Chairman and is now Patron of the McCusker Foundation for Alzheimer’s Research; chaired one of the fundraising committees that helped establish WAIMR (now Harry Perkins Institute of Medical Research) and is co-patron of the Ear Science Institute of WA. He holds honorary doctorates from the University of Western Australia, Murdoch University and John Curtin University. 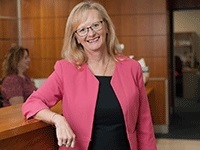 Professor Shirley Bowen is the Chief Executive Officer of St John of God Subiaco Hospital having been appointed in June 2017. Prior to joining the hospital she was Dean, School of Medicine, Fremantle at the University of Notre Dame. Prof Bowen has more than 20 years’ experience in executive management of Hospitals and Public Health, including roles as Chief Medical Officer of the ACT and being Director of Communicable Diseases for Western Australia. She has also maintained her practice as an Infectious Diseases Physician (FRACP). She also holds a Fellowship in Sexual Health Medicine and a Master of Medicine. She is passionate about delivering patient-centric care and is committed to visible and authentic leadership. Ms Pip Brennan is the Executive Director of the Health Consumers’ Council of WA. She began her paid career as a health consumer advocate ten years ago at the Health Consumers’ Council, and has worked at the Office of Health Review (now the Health and Disability Services Complaints Office), Community Midwifery WA and WACOSS. 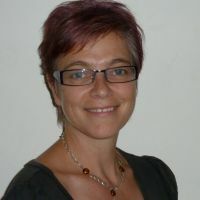 She returned to the Health Consumers’ Council in 2015 to take up the position of Executive Director and apply her knowledge of community service organisation management, outcomes based contracting, consumer representation and advocacy to continue the work of this unique and important organisation. This is her third career; Pip has also been a museum curator in Perth and London and an English Language teacher in Greece and London. Neale Fong is a registered medical practitioner with over 30 years’ experience in medical and health care delivery and leadership roles. 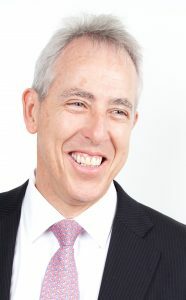 His strengths lie in reform and change management, developing strategic direction for healthcare organisations and leading over the entire spectrum of health policy and operational issues.In addition to his role as Chair of the WA Country Health Service Board, Neale is also Chairman of Bethesda Health Care, and Chairman of the Ministerial Council for Suicide Prevention. He consults to Curtin University in the establishment of WA’s third medical school and holds a Professor in Healthcare Leadership. He runs his own management consulting firm and has engagements with a number of government and health-related companies. Neale is a former Director General of the Department of Health (WA) and CEO of St John of God Hospital Subiaco. He holds Masters Degrees in Business Administration and Theological Studies, and Bachelor degrees in Medicine and Surgery. He is the National and WA President of the Australasian College of Health Service Management. Neale was the Chairman of the WA Football Commission for 10 years, responsible for managing and growing Australian Rules Football in WA. Professor Peter Leedman is an internationally recognised physician-scientist who was trained at Royal Melbourne Hospital, the Walter and Eliza Hall Institute and Harvard Medical School. He is currently the Director of the Harry Perkins Institute of Medical Research in Perth, where he heads of up the Laboratory for Cancer Medicine. His research has focused on devising new ways to treat cancer based on targeting the RNA in the cell and the field of RNA-therapeutics, with commercialisation of some of these discoveries. He is also Chairman of Linear Clinical Research Ltd, a world-class company specialising in early phase clinical trials, with a focus on cancer, and which is a wholly owned subsidiary of the Harry Perkins Institute. 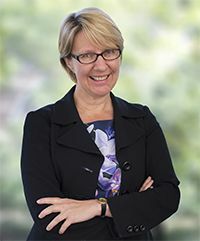 Professor Eeva Leinonen joined Murdoch University as Vice Chancellor and President in April 2016, after three years of service as Deputy Vice-Chancellor (Academic) at the University of Wollongong. Professor Leinonen has an academic background in linguistics and psychology and has extensive experience in higher education in the United Kingdom, Europe and internationally. Her academic research focuses on pragmatic deficits of children with autistic spectrum disorders as well as higher education topics relating to curriculum and use of technology in learning. 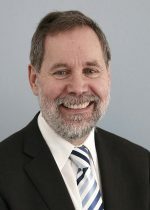 Prior to moving to Australia in 2012, Professor Leinonen held the position of Vice-President (Education) and Professor of Clinical Linguistics at King’s College, University of London. Professor Leinonen has been actively involved in national and international higher education debates and advisory groups. Which have included: Chair of the UK Higher Education Funding Council/Quality Assurance Agency advisory group into Employer Engagement in Learning, Trustee of IntoUni Charitable Trust, Member of the Teacher Education Ministerial Advisory Group in Australia; Director and Board Member of Future Directions International; Forrest Research Foundation Governors Committee. 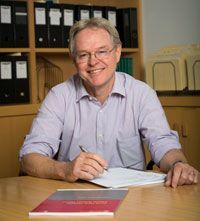 Associate Professor McAullay has considerable experience in health research, policy and practice. He has worked in a number of senior positions in these areas as well as in tertiary education. He is a registered nurse with post graduate qualifications. He has a strong research track record including presentations, publications and grants. His primary research areas of interest include maternal, infant and child health, primary health care and other health services research. He currently works as Director of the Centre for Improving Health Services for Aboriginal Children and families (ISAC). 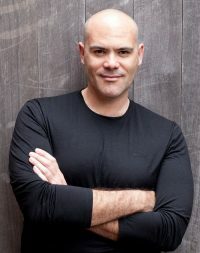 He also runs his own consulting company (Dan McAullay Consulting) and is a Director with the majority Australian Aboriginal and Torres Strait Islander owned and managed communication consulting company, Mode Black. Dr James Williamson is Assistant Director General leading the Clinical Excellence Division. He recently returned to WA from Princess Alexandra Hospital, Brisbane, Australia’s first major ‘digital’ hospital where he pursued his interest in data analytics. He established the WA Drug Evaluation Panel and was appointed Clinical Lead for the State eHealth Program and the Musculoskeletal Health Network. He has served the Royal Australasian College of Physicians as Chair of the Specialist Advisory Committee in General Medicine and member of the Committee for Physician Training. Professor Gary Geelhoed MBBS, FRACP, FACEM, MD is Executive Director of WAHTN. Prior to commencing at WAHTN, Gary was Western Australia’s Chief Medical Officer and Assistant Director General of Clinical Services and Research, WA Department of Health. A UWA graduate, Gary worked as Director of the Emergency Department at Princess Margaret Hospital for Children for 22 years. Gary has a keen interest in health reform, particularly in the area of clinical research and innovation. A highlight of Gary’s career involves his ongoing work to forge closer ties between our hospitals and the research community to promote greater innovation and best practice in clinical care; and to establish and embed a robust framework for safety and quality along with teaching, training and research, into the day to day operations of the State’s hospitals and health services. Gary’s past achievements include helping to introduce the Four Hour Rule Program to WA public hospitals, reducing delays in our emergency departments and streamlining hospital processes for admission and discharge. Western Australia was the first jurisdiction to implement this important program. 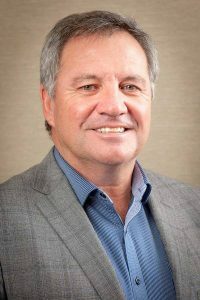 Gary has held roles on numerous state and national committees including the National Health and Medical Research Council, President of the Australian Medical Association WA, and Federal and Western Australian AMA Council.